Clotilde belongs to two mastermind groups: One online and one in person. 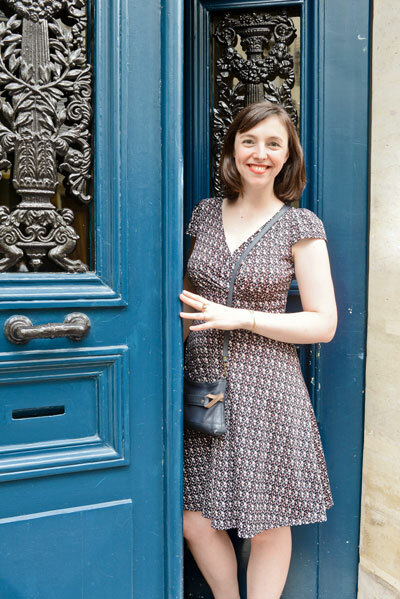 She is the French food writer behind the blog Chocolate & Zucchini ( http://cnz.to ), which she has been writing for more than 13 years. Her focus is on fresh, seasonal, colorful foods with a French twist. She also enjoys sharing behind-the-scenes tips with fellow bloggers. Wait, what’s a mastermind group? 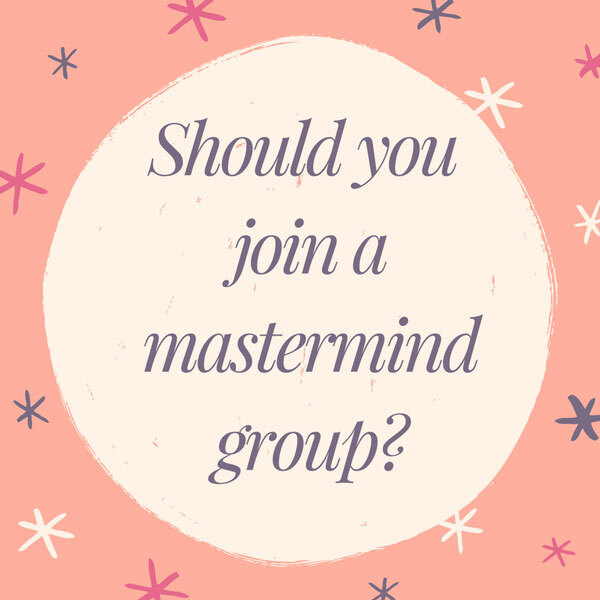 A mastermind group is a small group of like-minded professionals who get together regularly to discuss their professional lives. They offer each other support, feedback, and accountability. I think of it as group therapy for professionals. What’s the benefit for food writers? I first heard of the concept for top executives and seven-figure business people. But it dawned on me one day (in the shower, if you must know) that I needed a mastermind group in my life, too. Writing can be a solitary pursuit. Having a dedicated support group helps the members gain clarity of purpose, work out difficult situations or hangups, and motivate us to reach our goals. The overarching benefit for me has been to become more of an essentialist, as described in Greg McKeown’s book Essentialism. One of my mastermind friends recommended we all read it. I am much clearer about my intent now. I’ve defined it as, “Making meaningful connections with others around our shared love of food and French culture.” With the group as a sounding board, I now find it easier to say no to opportunities that won’t move the needle in the direction I want. Checking in with trusted peers on a regular basis lets me track my progress and growth. That can be hard to do when it’s just me alone with my doubts and my perfectionism. Thinking back on conversations we’ve had weeks and months ago, I see how far I’ve come. I find this process empowering. Is it the same as a writing group? Writing groups typically focus on the writing craft itself. They offer members a chance to read what they’re working on and exchange feedback with one another. The purpose of a mastermind group is a little different. It’s the place to discuss everything that’s around the actual writing, such as mindset, business relationships, the systems that allows us to get work done, and our productivity hitches. A win. We state an achievement or something good that happened since the last session. This is an opportunity to explain how this success came about, what we can learn from it, and how we can all generate more such wins. Example: I shared how I was massively clearing up my schedule to focus on wrapping up the manuscript for my new cookbook. A lose or struggle. An opportunity to make sense of a difficulty, and figure out both how to resolve and avoid it in the future. Example: Even with the assistance of a literary agent, book contract negotiations can be fraught. Several members of my groups find it helpful to discuss concern or frustration. A resource. An article, website, tool, podcast, course, conference, or idea that inspired us recently. Example: I shared how I was keeping a monthly list of accomplishments, as a sort of reverse to-do list. It’s a way to keep track and celebrate what I was actually getting done. A goal. Something we will set for ourselves, to report back about next time. Example: I created a mind map of everything that I do in relation to my blog and writing projects. The point was to identify what I can delegate or cut loose. Occasionally, we change this structure to do a group exercise together, such as drawing up our personal ikigai. Or we’ve allocated time for people to do a short, informal presentation on a topic they’ve recently learned about, such as design thinking, mind-mapping, or nonviolent communication. Someone (usually me) types up quick notes on a laptop during the session, and post them on a private Facebook group or share via email so everyone can benefit. It’s important to set a duration — two hours works well for us — and stick to it, to be respectful of everyone’s time. If some want to linger and chat afterwards, of course that’s fine. And every participant should get a comfortable amount of time to talk, 15 minutes or so. Though one person’s turn may last a little longer if a group discussion ensues. Mutual trust is absolutely essential. In all discussions, members must feel comfortable sharing their experience without worrying about being judged, or having their information shared outside the group. But members should also be open to constructive criticism, and offer it in turn with the other members’ best interests at heart. As you read through this post, perhaps you thought of one or two people you know, and with whom you’d see yourself forming a group. Reach out to these people. Ask if they would be interested. You can even link to this post to explain what you’re talking about. If they’re game, figure out together who else to invite. If you can’t think of anyone, perhaps you belong to a Facebook group of writers or some such forum. These are good places to discuss the possibilities with would-be mastermind partners. Longtime blogger Clotilde Dusoulier of Chocolate & Zucchini finds mastermind groups so empowering that she joined two! Ideally, the members of your mastermind group will be people who have things in common with you. They could be other writers, but not necessarily food writers. They could be creative entrepreneurs with the same kind of values and approach. Choose people with a comparable level of advancement in their careers, so the relationships are balanced. Avoid direct competitors, as it may be difficult to create a safe space where you can share vulnerable experiences and sensitive or confidential information. Aim for four to six members, the ideal size to generate a good group vibe that feels abundant yet intimate. It also means that if one member can’t attend, the group doesn’t feel depleted. Depending on your respective locations, hold the sessions in person, at one another’s houses, or in a coffee shop. There is magic in face-to-face interactions, but it’s not always possible . Otherwise, Skype or a Google Hangout will work. Decide on a frequency that feels realistic. (My in-person mastermind group meets every other week, and my online group meets every three to four weeks.) Be ready to adjust one way or another after a few sessions. Set expectations in terms of attendance. It’s fine to miss a session if you have a good reason, such as a work trip or a sick child. Members should make the meetings a priority, or it feels like they’re not committed. During your first session, and regularly after that, check in with other members. Ask what they are hoping to get from the group and contribute to it, so you can all remain on the same page. Do you belong to a mastermind group? If so, how do you conduct it? And if not, do you think you would benefit? How will you go about setting one up for yourself? I love my mastermind group. There’s four of us – we initially planned on 5 but found that 4 seems to be a good fit. We all have food blogs but also have food and travel related freelance work or businesses as well and we’re all in very different food niches which I really like. Nobody is in direct competition but at the same time we’re similar enough that we understand each other’s challenges but different enough that we can each bring a different way of looking at things to the table. We’re located across Canada and meet by Google Hangout or in person if we’re travelling to each other’s cities. And we keep a private Facebook group to stay connected and follow up on things between meetings. One thing that’s working well for us that we just started is a weekly check in thread where we each post our goals for the week and then report back on how we each did. Sounds wonderful, Melissa, and I love the weekly check-ins for accountability. What would you say has been the biggest benefit for you? As writers, having creative network is so important! Thanks, Clotilde for showing us an organized way to support each other. Thank you for reading Pat! Thank you, Dianne. Thank you, Clotilde for sharing your insight and overview on the benefits of participating in a Mastermind Group. Thank you for the information on your Swipe file too. I would be interested to know (perhaps others would too) how Melissa and the members of her group went about first identifying each other? Also, are there any additional recommendations if there are not a lot of bloggers, or those with similarities, within a residing area? If you can think of one first person to ask, you can put your heads together to find more. And are you a member of a Facebook group for writers, or a forum? These would be a good place to start as well. As for location, as mentioned, Skype calls work too! This is such a good idea. Thanks so much for the post! I’ve been in writer’s groups but not in a group like this. What sort of interactions to you have with the writers in your group? Thanks Dianne for inviting Clotilde and thank you Clotilde for sharing you experience in a very concrete way. I found it very useful in the early steps of setting up a group, which is what I’m trying to do right now with 4 other lady-entrepreneurs here in Paris (thanks to you by the way !). I didn’t know about the Igikai and I’m going to share this with the group ! I hope you and the other members get tons of value from the group! I’ve been in a couple of mastermind groups, and sadly they have mostly dissipated. They also quickly devolved into more personal threads than business support and help. It would be so great to join in another or maybe even start one locally. I think in person could work even better. That’s a very interesting point, Alisa. It can be difficult to separate the personal and the professional because they are so interdependent–especially for the self-employed creative, I would argue. Such useful nuggets of information within this post even without joining a group. Love the idea of the reverse ‘to do’ list Clotilde. Loads of food for thought. Thank you for reading Sally, I’m so glad you found it interesting! Thank you Dianne for having Clotilde here, and Clotilde for sharing such useful information and tips. I particularly like the idea of the monthly list of accomplishments – it’s so easy to get depressed about what hasn’t been done or hasn’t happened, but probably much more useful to focus on what has. Clotilde – you have personally told me before how helpful your mastermind group has been to you, and I remember you asking me whether I had joined one. I couldn’t get around to doing it. I thought joining a coworking community – with several locations here in Lyon – would help, but it doesn’t do it for me the way you describe it, although it’s proved valuable in other ways. While reading your practical advice on how to start a group, I instantly thought about two girlfriends of mine who are in the same frame of mind as I am and whom I’d love to form a mastermind group with. They’re not writers or bloggers, though. They’re entrepreneurs of some kind as they each grow their own activity – one is a psychologist – but I would definitely like to have more opportunities to interact and talk business with people in the same area I’m in (food blogging and writing). So I’m asking you, what do you recommend matter the most to form a helpful and efficient mastermind group? The participants’s frame of mind or the business commonalities? Thanks for your answer, and again, for this post. PS : If anyone is interested in forming a (food bloggers’) mastermind group, please, let yourself be known! I’m a French native speaker living in France, and interested in joining/forming a group in English or French, either way. I’m open to any suggestion. Frame of mind is definitely more important than business commonality. It can actually be great to talk about your work to someone who has an outside perspective, as long as they have an idea what it’s like to work independently and build something from the ground up, with all the joys and struggles it entails. I would go for it 100%. Whether the group “takes” or not, you’ll get lots of value from the experience. Keep us posted! Thanks for your answer, Clotilde! I’ll keep you posted indeed. I’m setting up a mastermind portal to make these MM meetings run smoother – so participants can focus on the actual meeting – not the set up notes etc. Looking for beta testers who already run a virtual mastermind. If interested let me know.